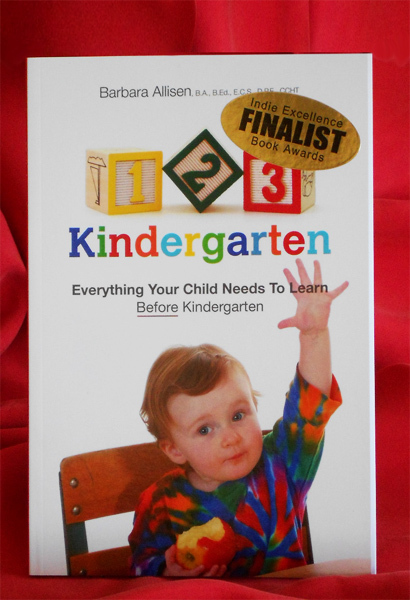 “Before I go to kindergarten, there’s lots I can do!” What helps your child be ready for kindergarten? Here’s an infographic checklist. 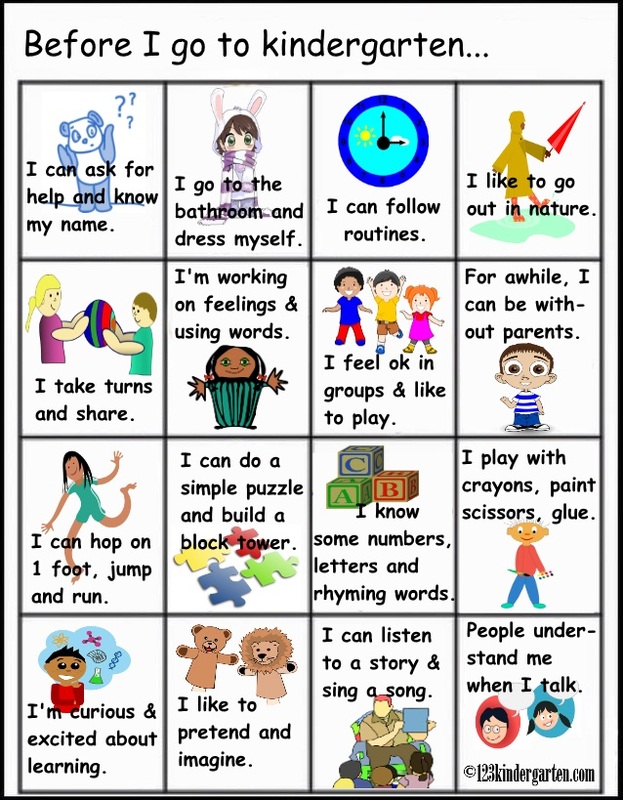 Just recently, an infographic was shared in a group of parents and teachers with some pre-kindergarten goals. While a goal is something to work toward, not a requirement, many of us were concerned that these goals didn’t match the development of pre-kindergarten kids. Plus, they were all academic. Instead, we talked about what we thought were more appropriate ones. This infographic grew from that sharing. Stay tuned for more posts on how to encourage readiness for your child. 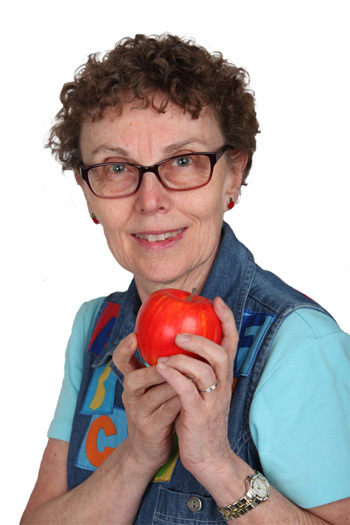 AND…what to ask the school to do to be ready for kids. Blowing bubbles needs a good deal of concentration. Kids need to pay attention to what they are doing or they risk missing the action. The bubbles appear as if by magic, and kids practice focusing on something that is close and in front of their eyes. This is a pre-training for the eyes and is similar to the focusing needed for reading. There can be running and chasing or just sitting quietly. While it is a very individual activity it can easily be done in any size group, and that way those playing can share comments and surprises. The bubble itself is quite a surprise. The soap and water transform into something different using something invisible. We can’t see our breath and how it changes the solutions, but there is a definite result. Blowing bubbles can be quite simple and it’s enough to have just a small bottle of soap solution and a single wand. But it can also be quite complicated with inventions and recipes to create different kinds of bubbles, including square ones, and astonishingly big ones. Best of all though is the result: wonder and appreciation. Who knew soap and water could be such a potion? Mixed with childhood, summer, and outside…magic. For a play-of-the-day, how about some bubble fun? 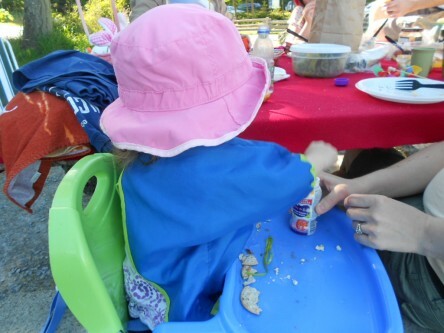 Summer days are perfect for water play outside and any water spilled on clothes will quickly dry. 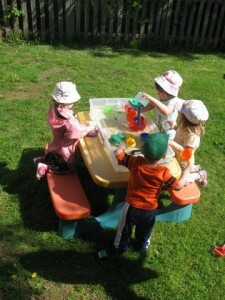 Water play is not just fun, but also pours out lots of kindergarten readiness fun and learning. While there are tables specially made for water play, any big container will work such as a bin or big bowl. Water play is very much a sensory activity, stimulating the senses of touch, hearing, seeing, and, with kids, sometimes tasting. 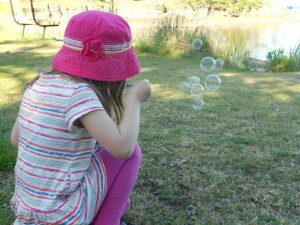 Some kids do not even mind soap bubbles! Water pours down, unless we squeeze or squirt it in other directions. Water doesn’t have its own shape, instead it takes the shape of containers. Water can freeze or pour. It takes several small containers of waters to fill a big one, and a big one fills a little container and then overflows. If a container has holes, the water comes out. Some things float in the water and some sink. Kids like to explore what floats or sinks with items such as plastic bottle caps, jar lids, wooden blocks, popsicle sticks, cups, small bottles, clean rocks and more. Often, kids put things inside another container and watch the container getting lower and lower until water spills over the edge and it all sinks. Play is an early form of science. 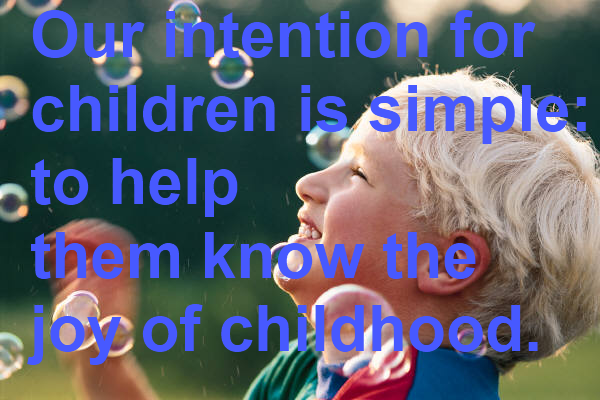 As children pour, dip, splash, and stir, they are carefully watching what happens–this is observation. They do the same actions over and over again–testing. They remember the results of their actions and make their own “theories” such as flat things float but then they try something flat that sinks and so they play some more–experimenting.When we ask questions about what they are doing, kids will share their discoveries. In science, that’s called reporting. And all this is child’s play. 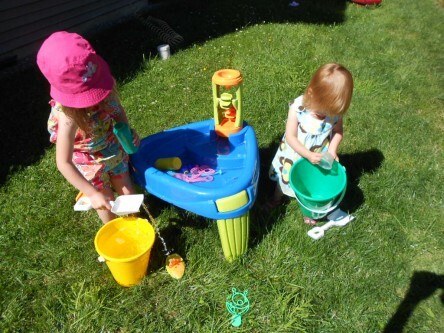 Do you agree water play is a good fun and learning activity for outside in the summer? 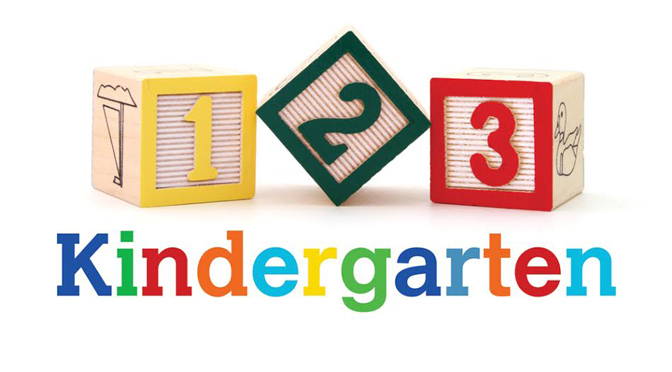 What Factors Will Most Influence Kindergarten Readiness?